This blog will generally be about boomerangs. I need a place to tell about making them, throwing them and collecting them. I'll post when I have something to say. We love hot pepper jellies and jams. 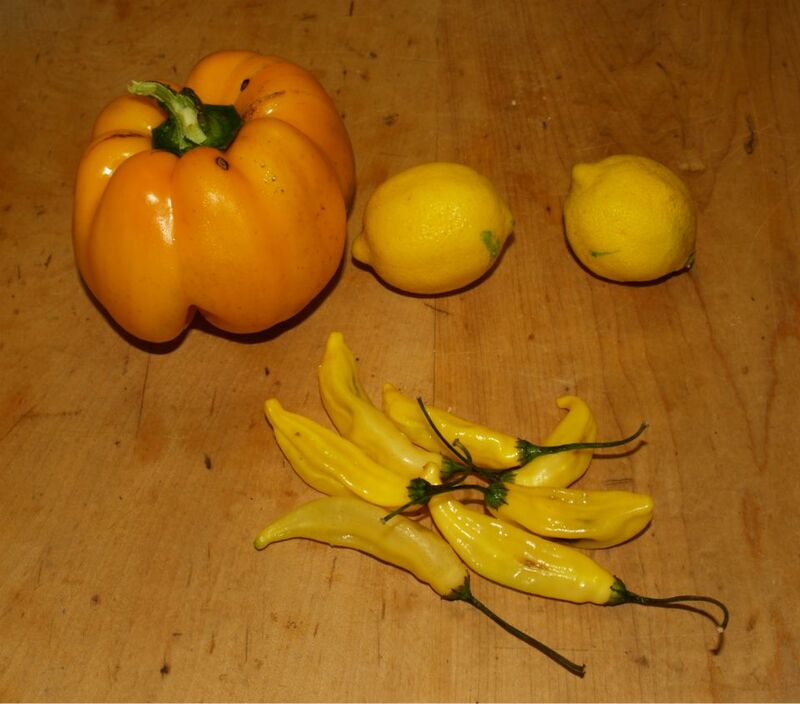 Here is one we make using Lemon Drop peppers which we grow ourselves. Makes about 7 (1-cup) jars. This one is particularly good as a glaze or condiment for chicken or pork. First you need some yellow bell peppers and Lemon Drop peppers. The Lemon Drop are the small ones in this photo. They are hot but have a lemon flavor to them. Finely chop up the bell peppers. You need a cup and a half. 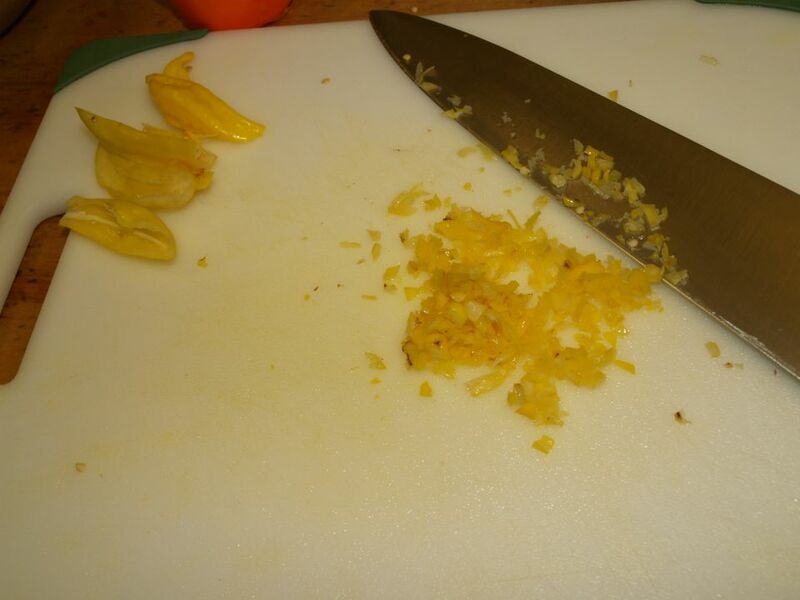 Finely chop up the Lemon Drops. I suggest wearing gloves. You need up to 1/4 cup but less (for milder jelly) is ok. 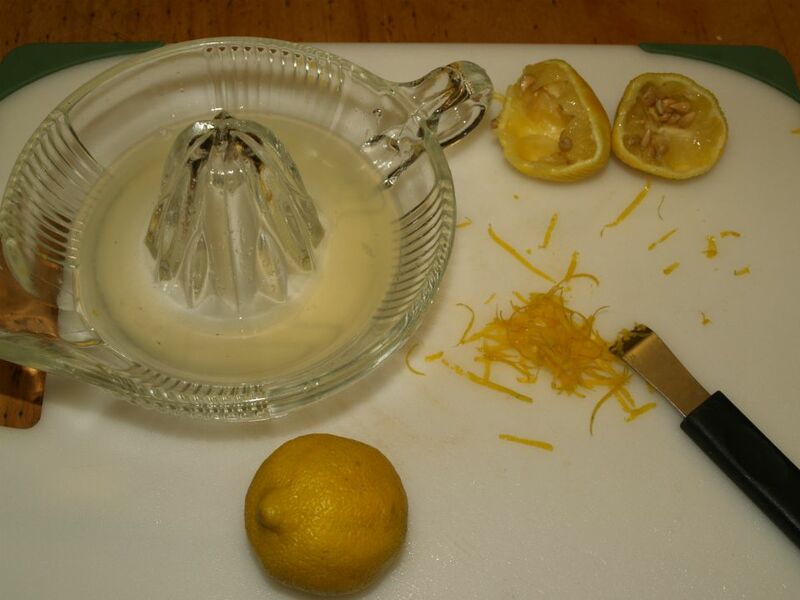 Either grate or zest two lemons, then squeeze the juice from them. 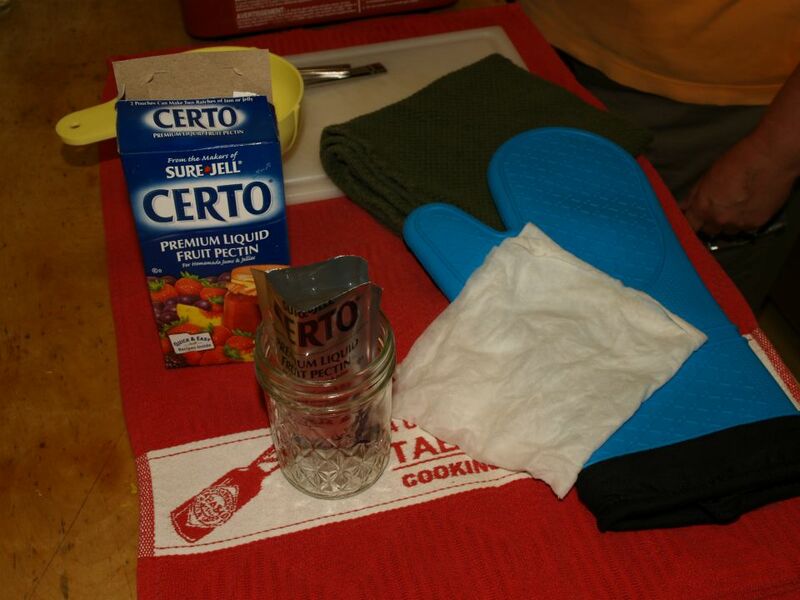 Add vinegar to the juice to make up 1-1/2 cups of liquid. 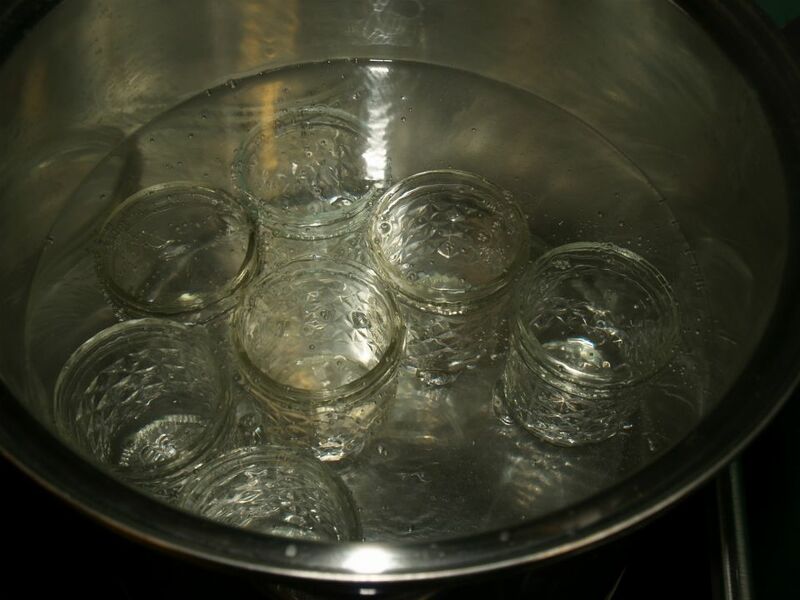 Place your washed jelly jars in the canner and heat them. Ok, I know it’s not a canner but it is a big stainless steel pot that works just fine. 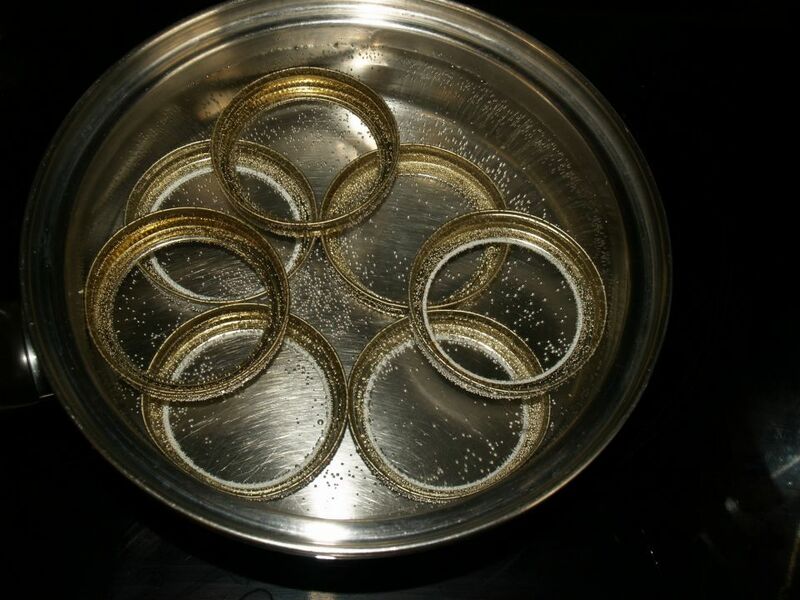 Place the lids and rings in a pot of water and heat them. I know the lids aren’t in the pot yet, just use your imagination. Make sure you have everything you need ready. 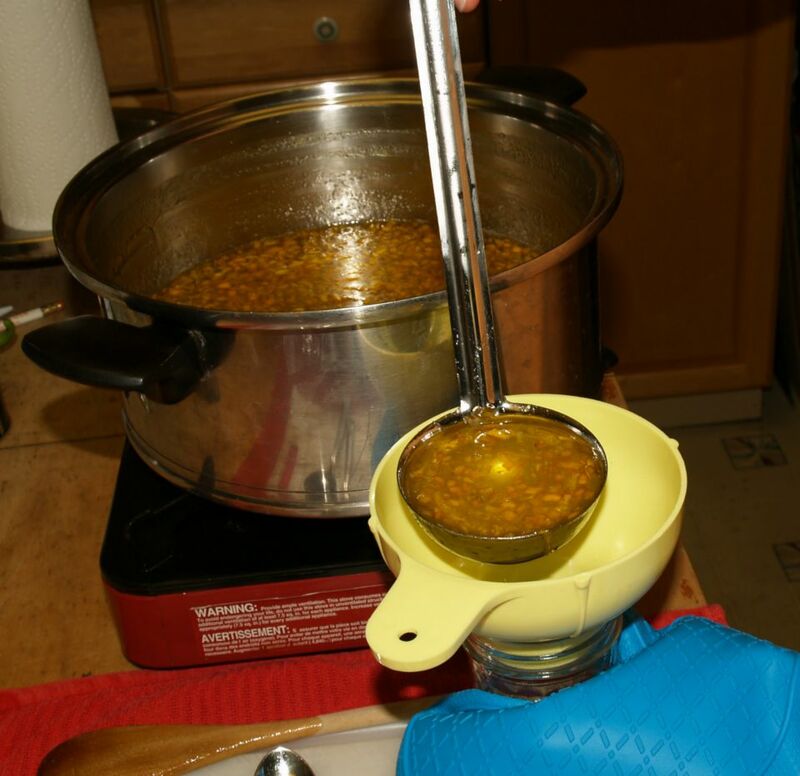 This includes a damp cloth or paper towel to wipe the top of the jars, a funnel to used when filling the jars and the pectin so you can get it fast. 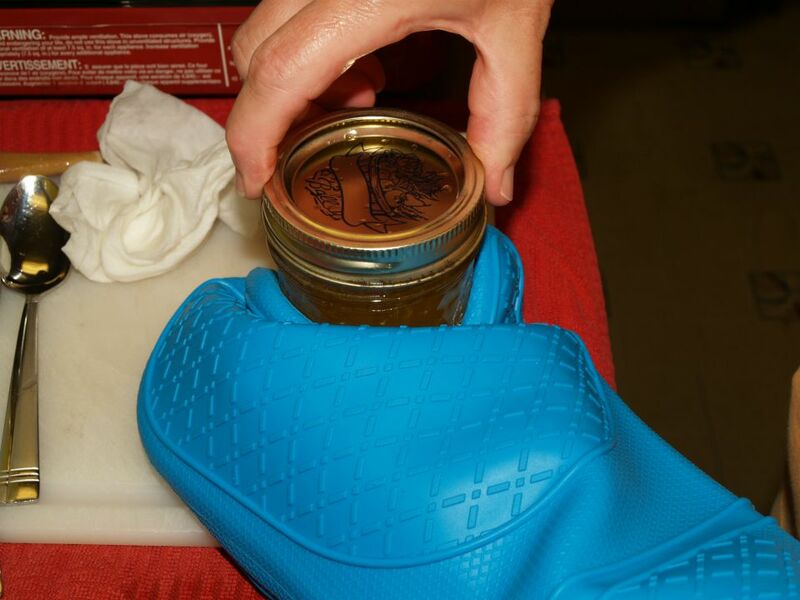 The silicone mitt is handy when working with hot jars. 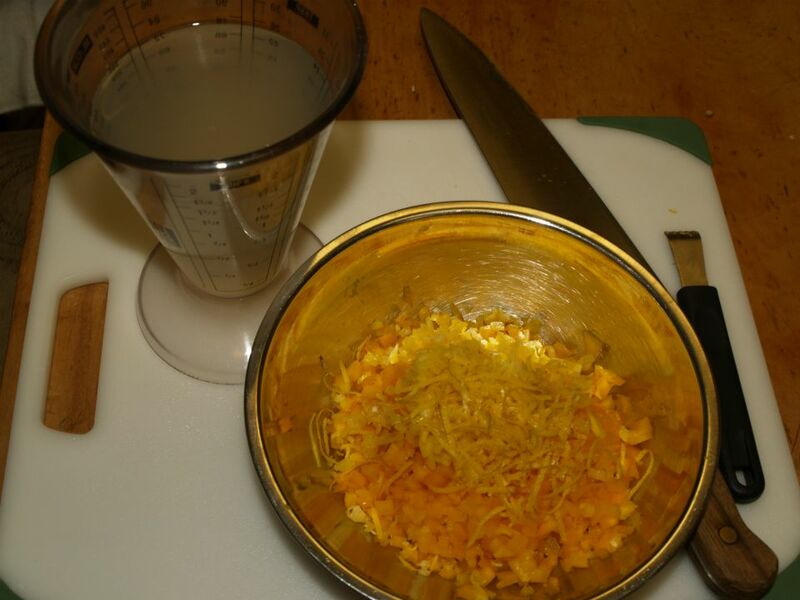 Combine the liquids and peppers, along with the lemon zest in a 6 to 8 quart pot and fire it up. 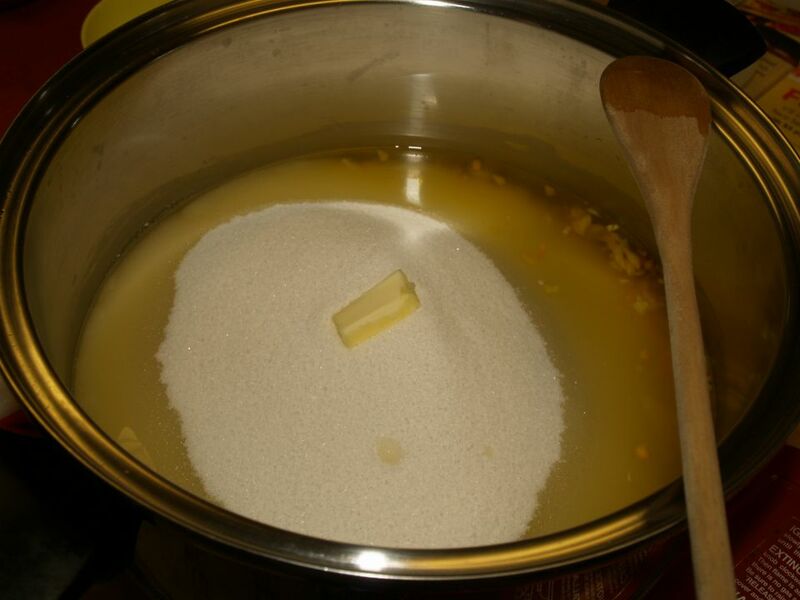 Add the sugar and butter. The butter helps reduce the amount of foaming. Bring mixture to full rolling boil on high heat, stirring constantly. 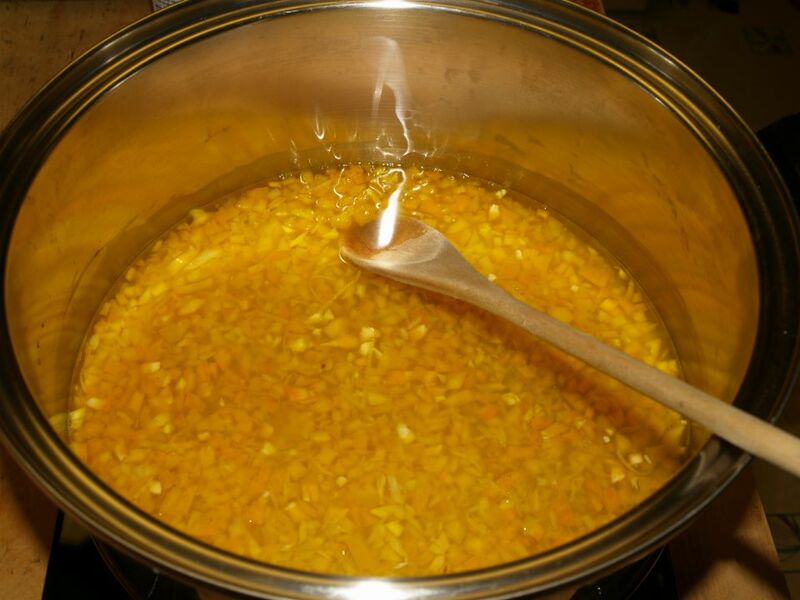 Stir in pectin. Return to full rolling boil and boil exactly 1 min., stirring constantly. Remove from heat. Skim off any foam with metal spoon. 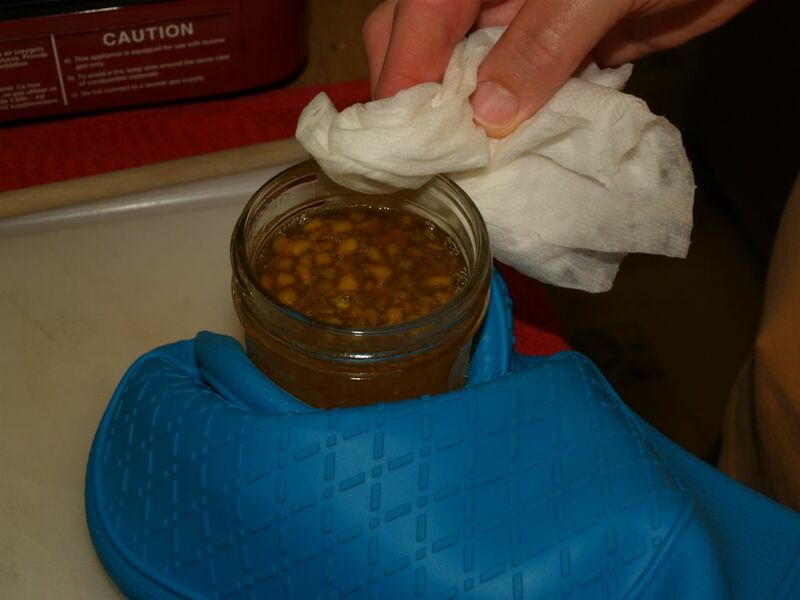 Take a hot jar from the canner and drain the water. Fill the jars with jelly. Wipe any jelly off the rims if required. A clean rim makes for a good seal. Screw on a two piece lid and ring. 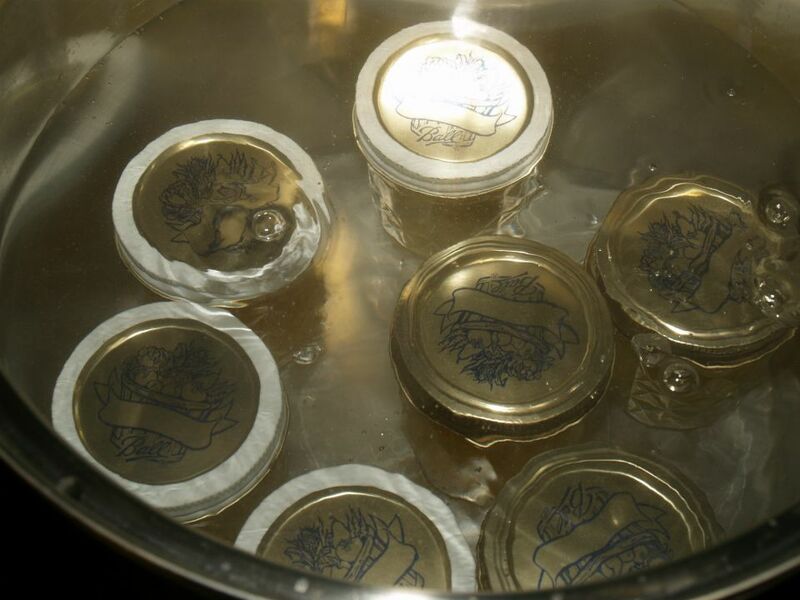 Place the jars back in the canner, return to a boil and process 10 minutes. Remove jars and let cool. You should hear the lids pop when they seal. 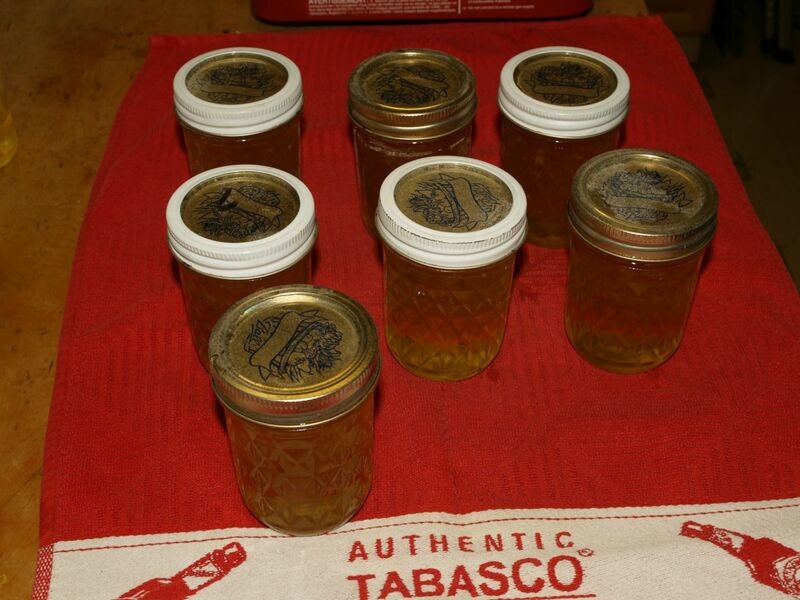 When cool, put a label on the jars and start enjoying the fruits of your labor. 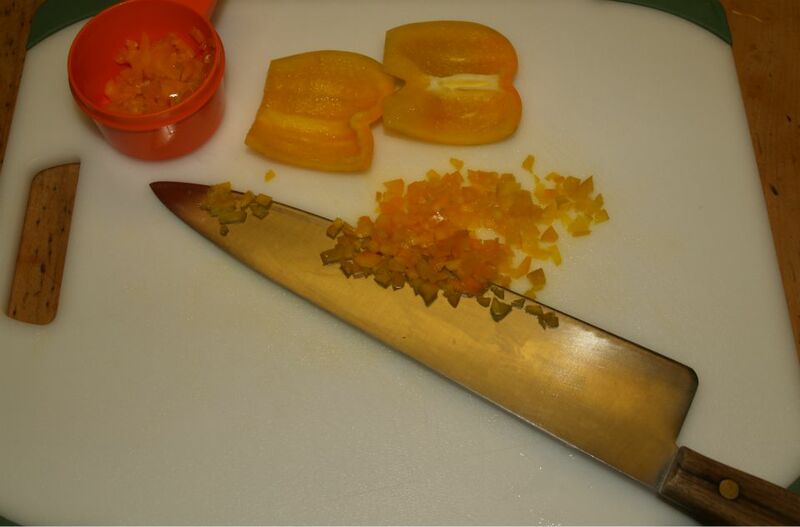 6 to 12 Lemon Drop peppers, seeded finely chopped (about 1/4 cup) More or less will make is hotter or milder. PLACE peppers, zest and lemon/vinegar combination in 6- or 8-qt. saucepot. Stir in sugar. 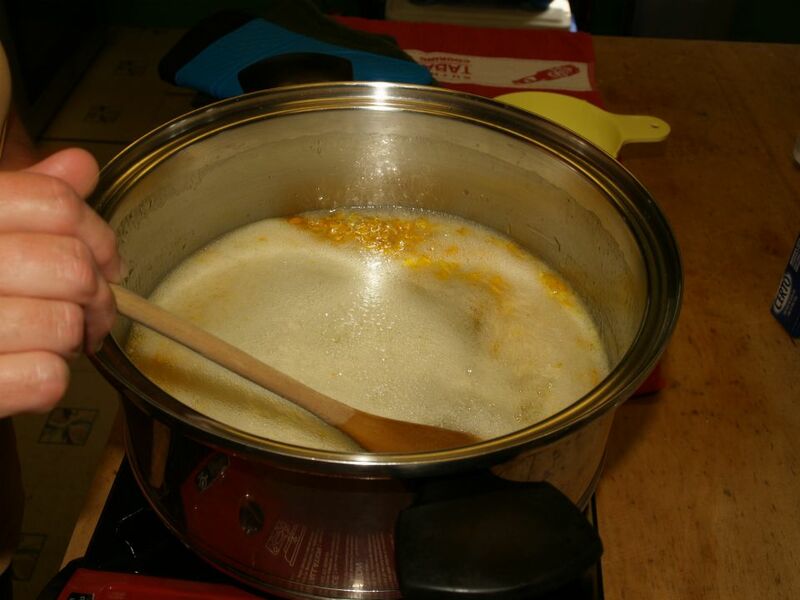 Add butter to reduce foaming. 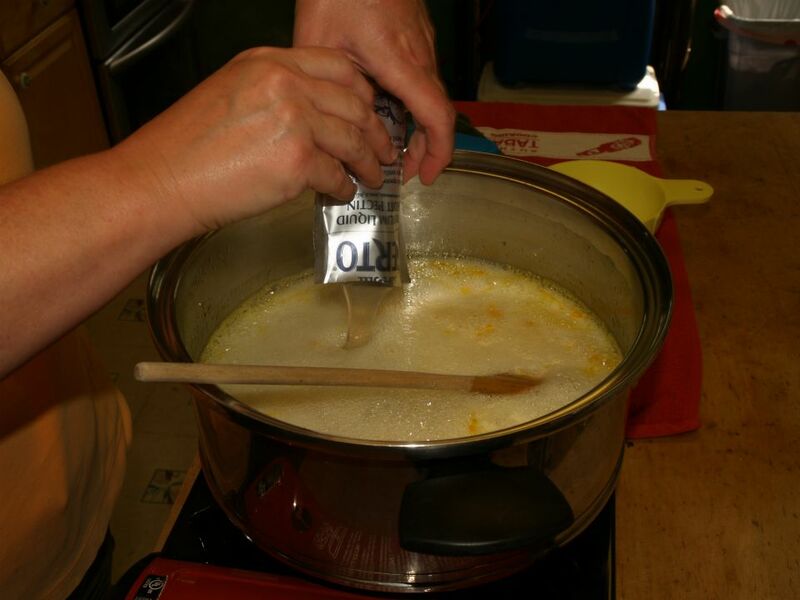 Bring mixture to full rolling boil (a boil that doesn’t stop bubbling when stirred) on high heat, stirring constantly. it’s a great post Dave. Love the step by step approach.